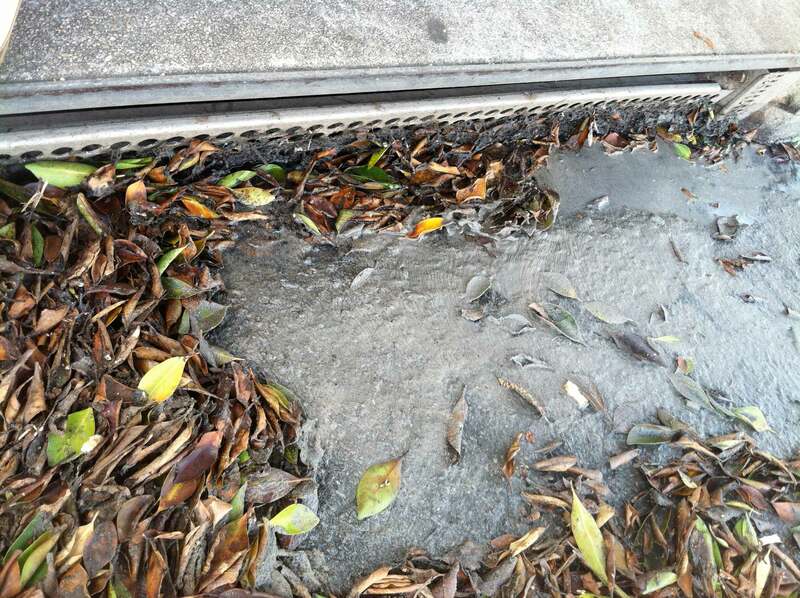 Grey sludge clogging the storm drain along Santa Monica Boulevard outside the Beverly Hilton Hotel. 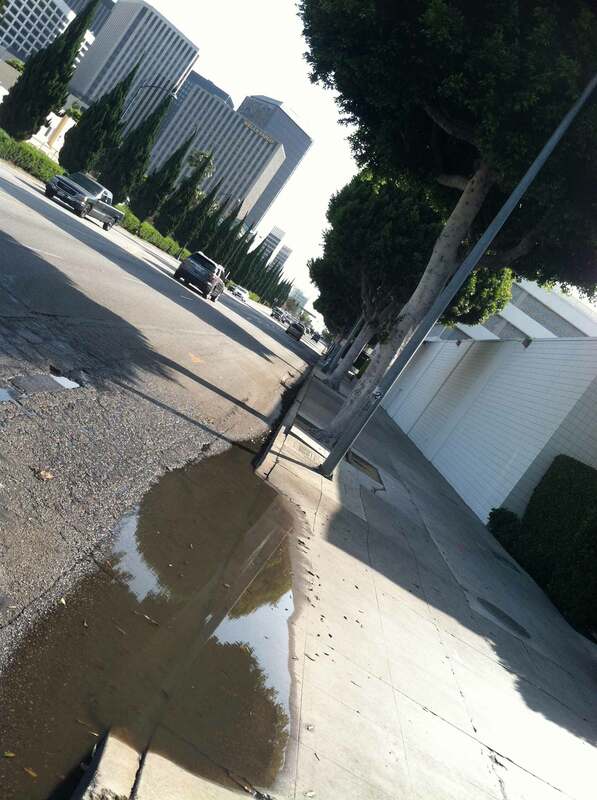 Recently while passing down Santa Monica Boulevard toward the beach just past Wilshire Boulevard along the stretch that parallels the Beverly Hilton Hotel a strong rotten smell wafted up from the side of the road. Much like rotten eggs, or decomposing flesh the smell came from stagnant water sitting in the storm water drainage pathway leading from the Hilton driveway to a storm drain clogged with gray sediment, better described as a thick sludge. The City’s storm drain system is designed to prevent flooding by carrying away excess rainwater from the City streets to the ocean via Ballona Creek. Because the system contains no filters, it will carry urban pollution straight to the ocean. Urban pollution contaminates the ocean, causes beaches to be closed, harms aquatic life, and increases the risk of flooding by clogging gutters and catch basins. It is estimated that storm water pollution costs the Los Angeles area economy more than $26 million per year. Water sitting at the delivery driveway entrance of the Hilton. As Los Angeles is a beautiful city and the beaches need as much as help as they can get, a quick phone call to the number listed on city’s site seemed pertinent. After reaching the Department of Public Works Utility Division’s main reception line our phone call was transferred to an answering service. We have yet to hear a response from the city on what if any actions they can take in finding out what caused the sludge, if the sludge is a well-known problem in the area and/or if they will clean out the drain. Of course as a wealth of dead and fallen leaves clogged the drain along with the sludge, it is possible the clog is just poor maintenance by Beverly Hills. Of course that doesn’t explain where the sludge came from and what caused the horrid smell. Nor does it explain why no other drain in the area seems to have the same issue. L.A. the Blog will keep you updated if we hear back from the public works department, but spread the word and let us know if you have any tips regarding environmental issues in your neighborhood. Below please find a slideshow of pictures taken at the site. 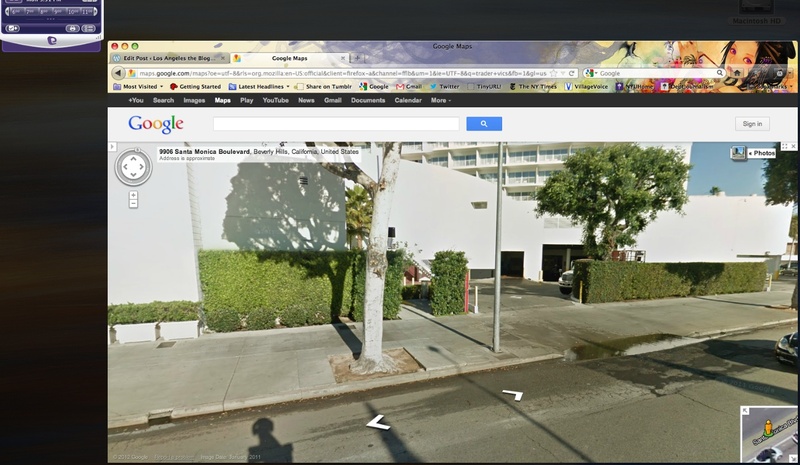 This entry was posted in Beverly Hills, Environment, L.A., LA, Los Angeles, Urban Planning and tagged Beverly Hills Hilton, City of Beverly Hills, environment, L.A. the Blog, Los Angeles, sludge, storm water drain. Bookmark the permalink. There are so many options out there that I’m completely confused .. Any tips? Thanks a lot!